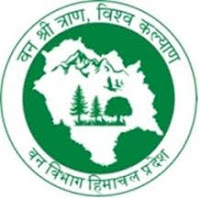 Himachal Pradesh Forest Department invites applications by either Online or Offline mode for the post of Forest Guards. The Forests of Himachal Pradesh known for their grandeur and majesty are like a green pearl in the Himalayan crown. This life supporting systems are presently under great stress due to impact of modern civilization, economic development and growth in human and cattle population. The forests of Himachal Pradesh are rich in vascular flora, which forms the conspicuous vegetation cover. Out of total 45,000 species of plants found in the country as many as 3,295 species (7.32%) are reported in the State. More than 95% of species are endemic to Himachal and characteristic of Western Himalayan flora, while about 5% (150 species) are exotic introduced over the last 150 years. 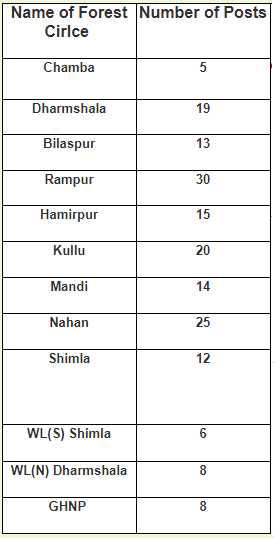 Only those candidates are eligible who have passed 12th examination passed from any recognized Board/ University or its equivalent. Apply either Offline Or Online at Himachal Pradesh Forest Department website before 1st July, 2017. Do not apply by both modes, by doing so the applictions will be rejected.For Further Details visit the website and go through the Official Notification before applying for the post.